The simple Pleated Shade has come a long way over the years. 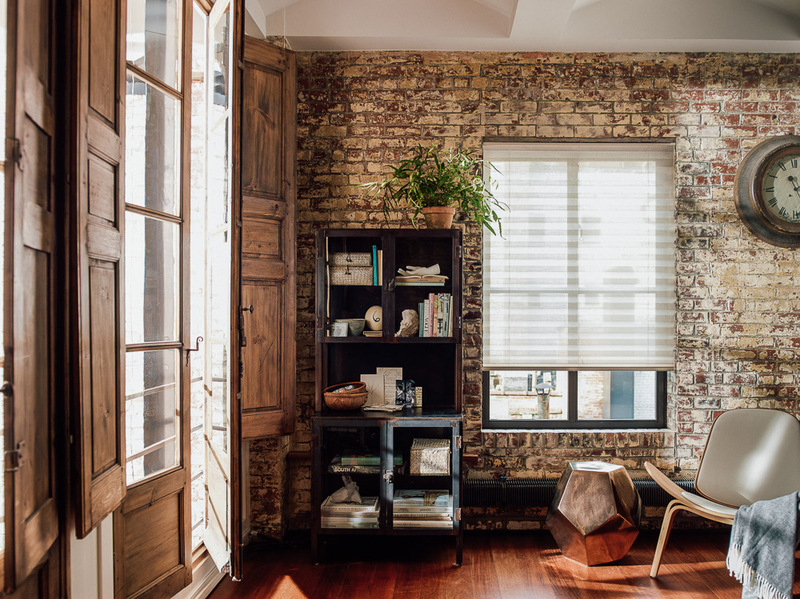 Far from boring, our 2” XL Pleated Shades are incredibly versatile and practical. With their classic look, Pleated Shades look at home in traditional designs as well as modern spaces. The large 2” pleat keeps windows from looking too busy, and strikes the perfect balance between privacy and light control. Forming a minimal stack when raised, these shades leave your windows unencumbered when you want to enjoy your view. 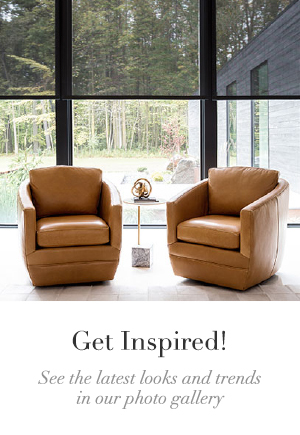 They also come in 30 exclusive materials so you can create just the look you want. 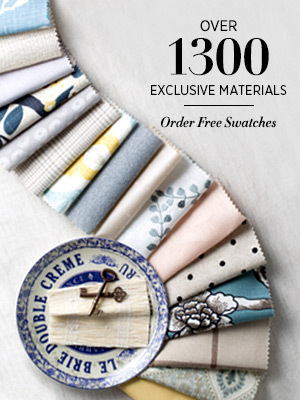 For a more sedate look, there are plenty of neutrals such as cream, white, and almond. But Pleated Shades are also available in punchy brights like Formula One red and Sky Diver bright blue. There is even a Paisley Print pattern in 4 colors, shown below in Black. Keep reading to learn more about these multifaceted shades. Our Pleated Shades have 3 different control options: Standard Cord Lock, Continuous Loop, and Cordless. 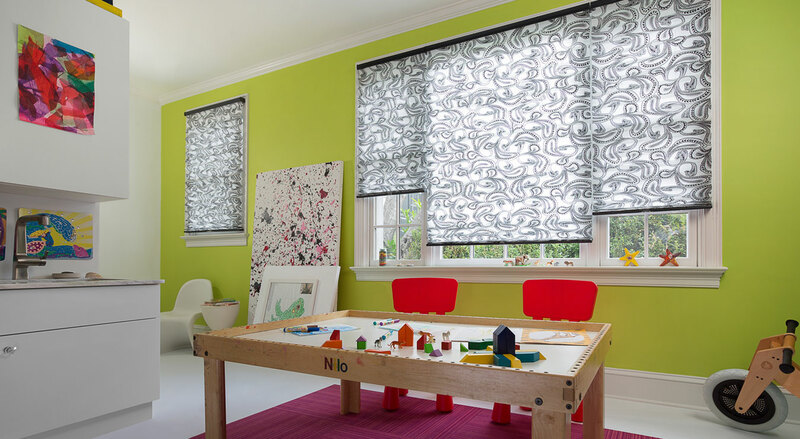 The Cordless Pleated Shades have been certified Best for Kids, and are perfectly suited for nurseries, children’s bedrooms, and playrooms. Learn more about our commitment to child safety here. If you are dressing a particularly large window, we recommend choosing the Continuous Loop control option. For bedrooms, media rooms, and offices, try a blackout lining for a room darkening effect. The lining blocks 95% of light and provides an additional layer of insulation. Pleated Shades can be designed as top down bottom up shades, which allows you to lower the shade from top or raise it from the bottom, for even more control over the amount of light blockage and privacy. 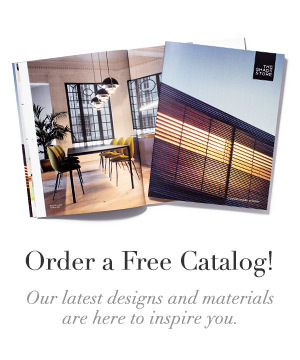 Visit a nationwide showroom to see our Pleated Shades, order free swatches to test out materials, or give us a call to discuss the variety of Pleated Shades we can create for you.